Do You Buy Kanye West’s Support of Confederate Flag? Kanye West wants to change the meaning of the controversial confederate flag. 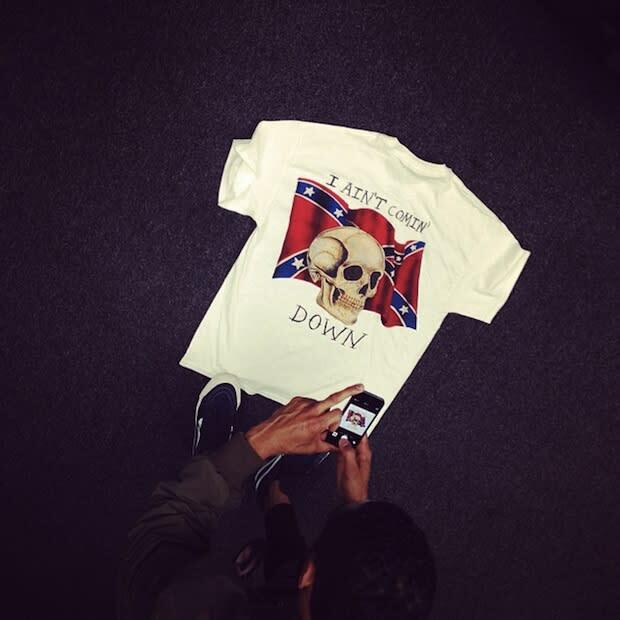 The rapper has received backlash for using images of the flag on T-shirts sold during his Yeezus tour stops. During an interview Monday on Los Angeles's 97.1 AMP Radio, Kanye explained why he supports his decision to promote the flag that symbolizes the southern states that defended slavery during the civil war and is used to represent white supremacist hate groups. 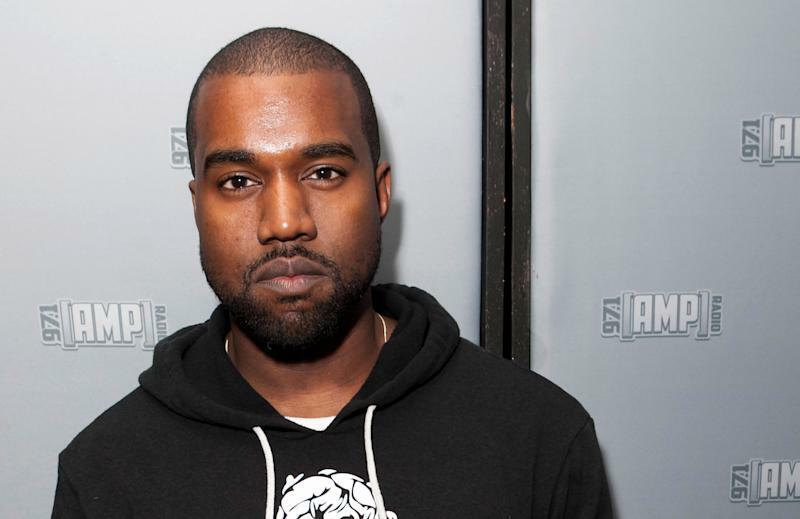 "The confederate flag represented slavery," Kanye told the station. "That's my abstract take on what I know about it. So I made this song 'New Slaves.' So, I took the confederate flag and made it my flag. It's my flag now. So what you gone do? Ain't nothing [going] to happen." According to Kanye, his tour merchandise is selling well. "We're doing like really good with the merch," he told AMP. "We're doing like Metallica numbers, like $14 a head. We're doing like [Justin] Bieber numbers." What do you think of Kanye's use of the confederate flag? Is it just an attempt for his to market and promote his song "New Slaves"? Will it help calm or fuel racial tension associated with the flag?